In celebration of the 25th Anniversary of Monday Night Raw, Gallery 1988 is teaming up with the WWE to launch a new line of limited edition officially licensed screen prints! To kick off this new series today, G1988 is releasing this epic “Raw Is Jericho” screen print by Jeffrey Everett (aka Rockets Are Red) featuring one of The Blot’s all time favorite WWE Superstars, Chris Jericho. 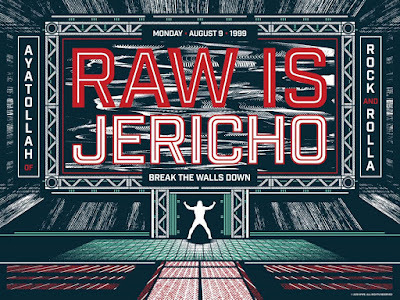 The screen print – on holographic paper – depicts Jericho’s iconic WWE debut on the August 9, 1999 episode of RAW. 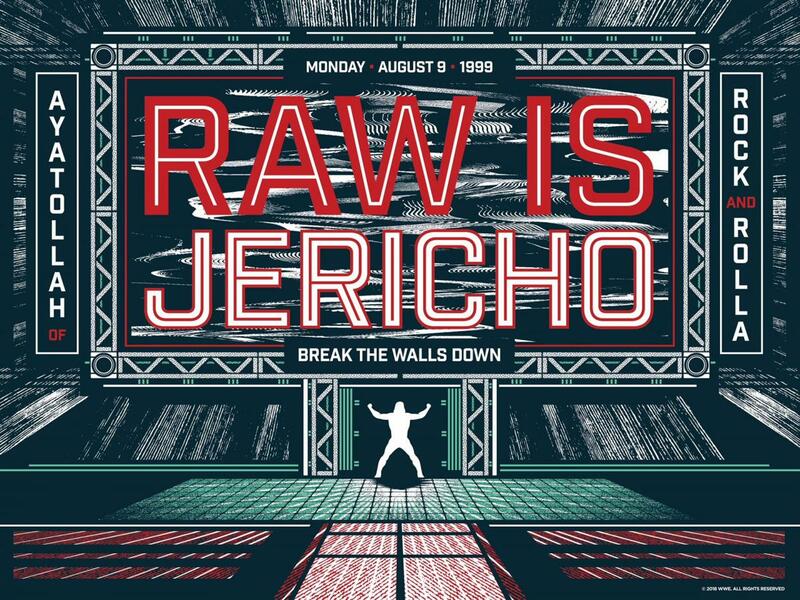 Raw Is Jericho by Jeffrey Everett is a 24”x18” hand numbered screen print on holographic paper. Limited to just 200 pieces, this print will go on sale at a random time today, Monday, January 21st, at the Gallery 1988 online store for $60, and just in time for tonight’s Monday Night Raw 25th Anniversary episode too!